MOSUL: Under the thumb of jihadist rule they were deemed minors-unable to do anything without permission from a father or husband-but today women are establishing businesses in Iraq’s Mosul. In red letters “Umm Mustafa and sons” looms large over a modest grocery, standing out in a sea of shop facades daubed with male proprietors’ names. “At first some gave me evil looks, but I have no pension and I had no choice but to open my shop”, Umm Mustafa, dressed in black, told AFP. At just 27 she is already a widow-her husband was executed by the Islamic State group during its brutal three-year occupation of the city. The jihadists seized control of Mosul in 2014, and the ruined metropolis was only wrested back by Iraq’s internationally-backed military a year and a half ago-after months of some of the most brutal urban combat seen anywhere since World War II. Located in the working class district of Al-Faruq, Umm Mustafa needs the shop’s income to feed her sons, who are six and four. And despite locals’ initial astonishment-borne out of a conservative culture that long predated the jihadist interlude-Umm Mustafa’s entrepreneurship has won over a loyal clientele. IS’ self-proclaimed caliphate had relegated Umm Mustafa and her female peers to the shadows-forbidden from even leaving home in the Nineveh province capital, never mind speaking in public places. Storefront signage such as Umm Mustafa’s could never have been erected as they have today. Nearly two thirds of young people in Iraq say they support the right of women to work, compared to only 42 percent of older people, according to a UN survey. The same survey found only 14 percent of women work or actively seek employment, compared to 73 percent of men, while in the private sector, only two percent of employees are female. And unemployment, while officially at 10.8 percent nationally, is higher in Nineveh and other provinces that were until recently plagued by fighting or under the control of IS. The bloody conflicts that have ravaged the country for nearly four decades-beginning with the 1980-88 Iran-Iraq war-have killed and disabled hundreds of thousands of people, and also triggered numerous divorces. 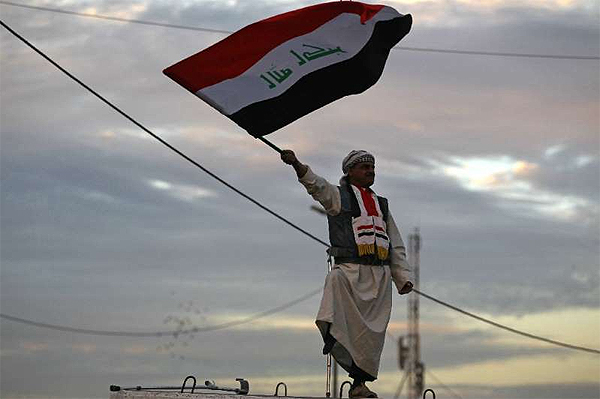 As a result, one in ten Iraqi households is headed by a woman nowadays, according to the UN. 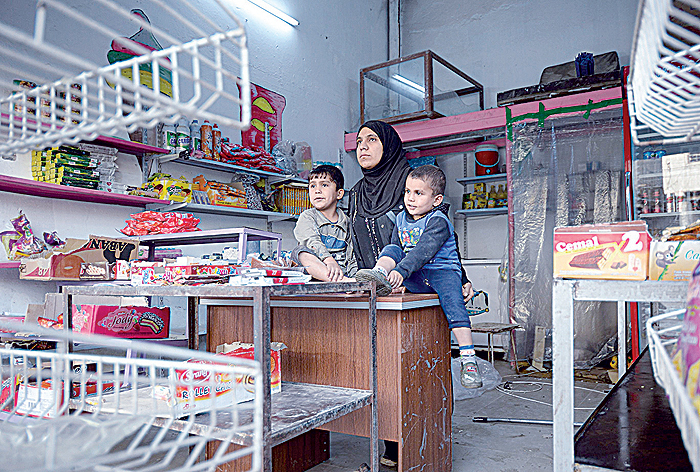 “Umm Mustafa’s self-reliance should be an example,” said Adel Zaki, a neighbour who comes to her shop regularly to buy chocolates or a bottle of fruit juice. Fellow Mosul native Dania Salem did not have a pressing need to earn money. But after fleeing home with her family to escape the advancing jihadists, she discovered her passion in Arbil, the capital of Iraqi Kurdistan. The 23-year-old economics graduate worked at a florist there, where she learned to arrange fresh bouquets and create wreaths of synthetic flowers. After returning home to Mosul, in August 2018 she opened a flower stall that is now in full bloom. “For me, it was something of a challenge-a way to improve women’s place in society, which has been changing a lot,” she said. Since the jihadists were defeated in Mosul-long a Middle East trade hub-the city has undergone a cultural boom. More and more women are feeling their way into the public sphere, whether by finding work alongside male counterparts or by setting up their own firms. “This shop is a first step and I have other plans for later,” Salem said, before returning to arranging her flowers. For women’s rights activist Rim Mohammed, it is crucial that the state supports other women setting up their own businesses.